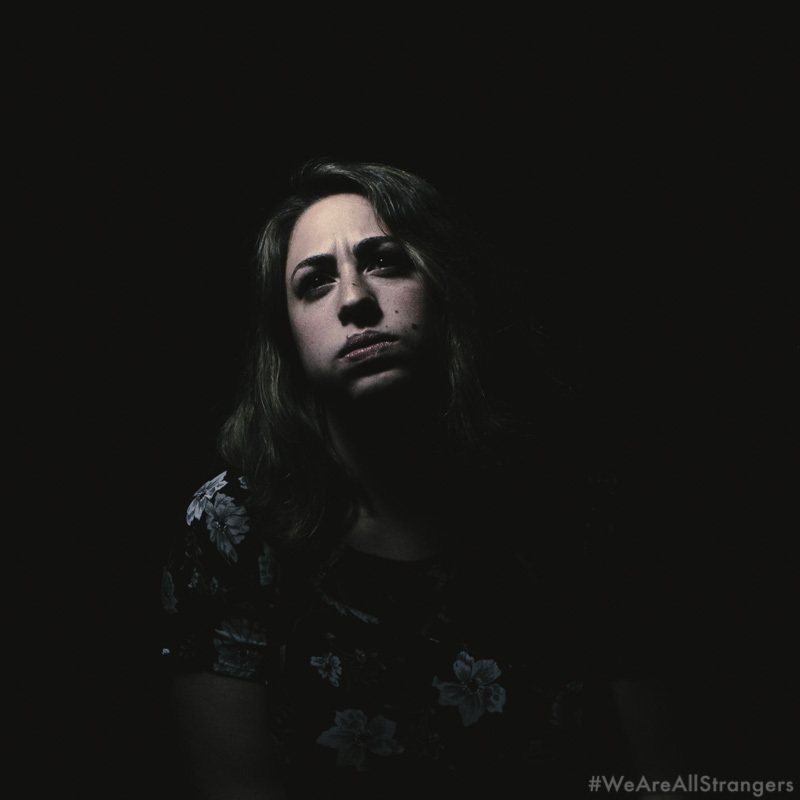 We all know what the word stranger means: someone new, someone unfamiliar. 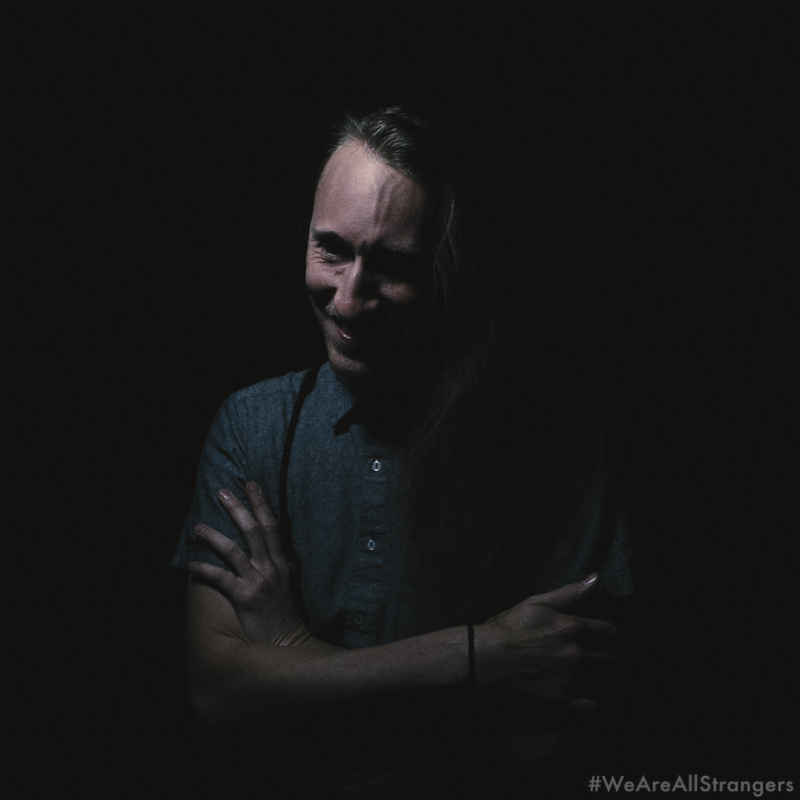 We see them in passing, and move on. 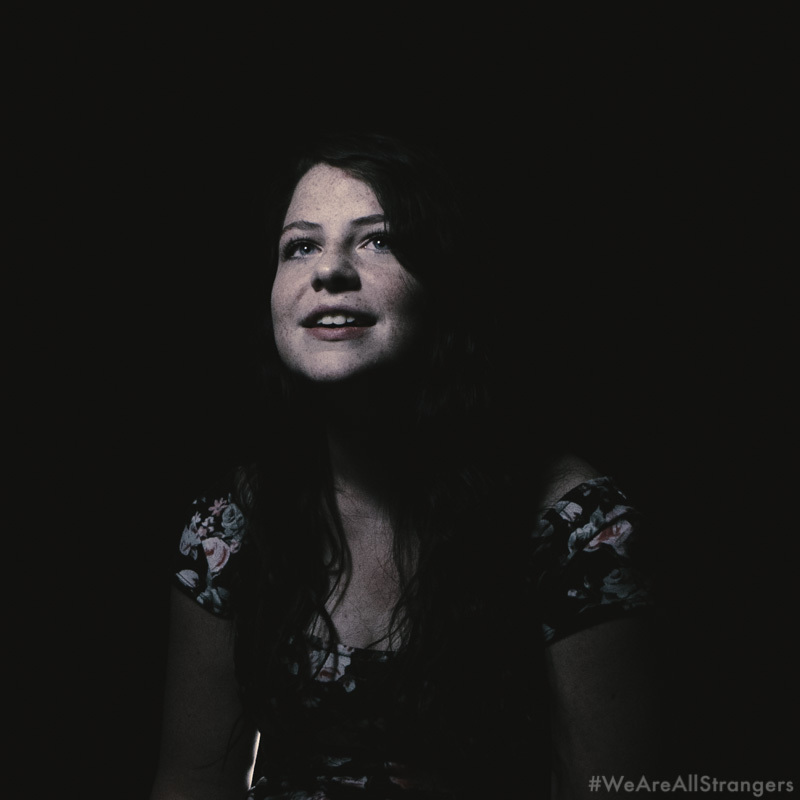 We will see a thousand strangers for every friend and time is not long enough to know an entire crowd; so we edit. 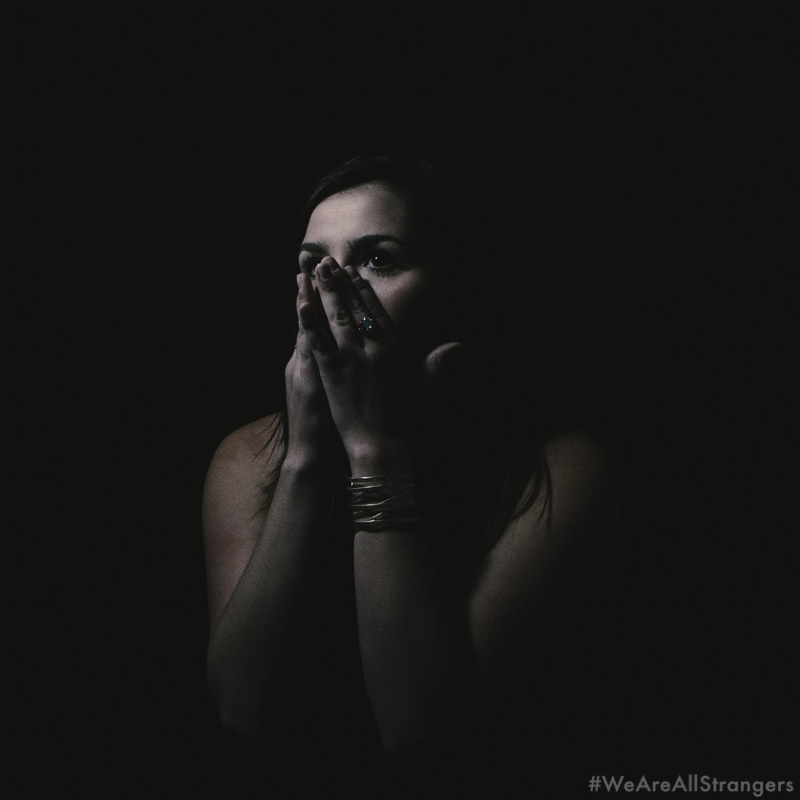 We understandably dismiss, ignore, and forget. 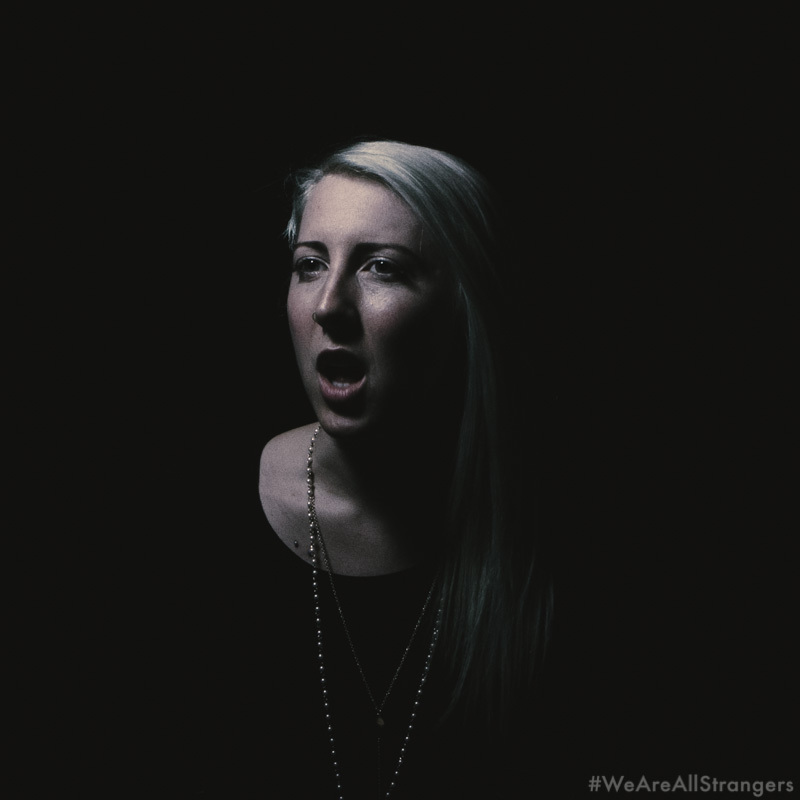 But we fail to remember; we are the strangers. 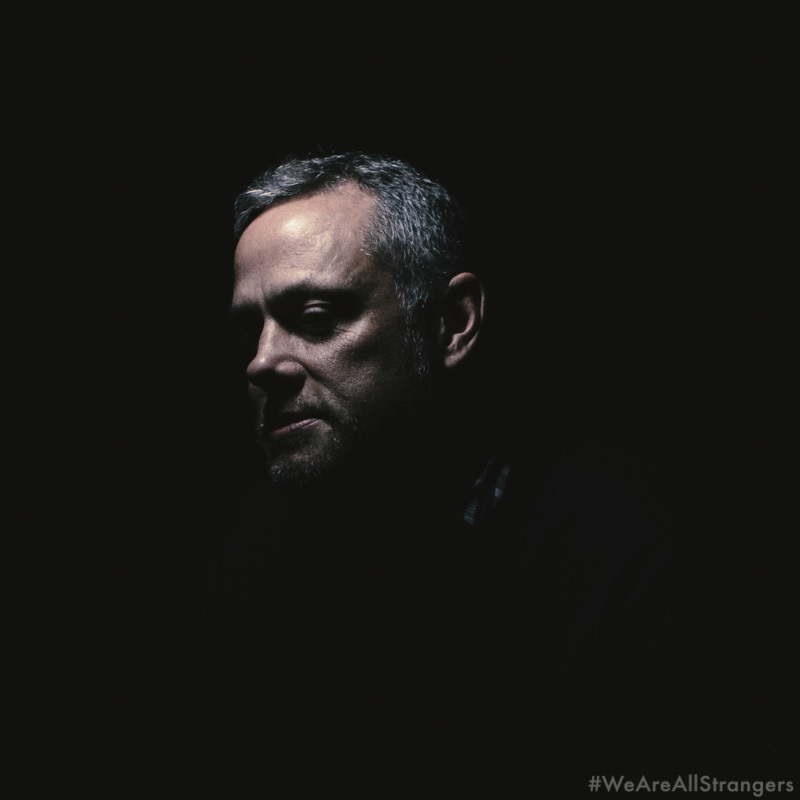 What does it actually mean when the ones forgetting are also the forgotten. 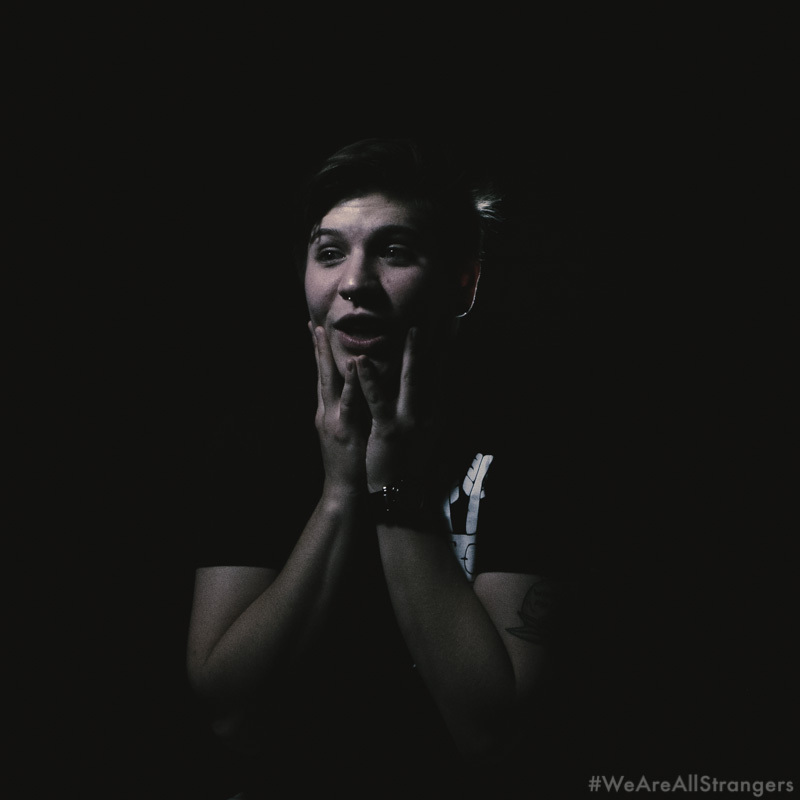 When the ignoring are ignored. 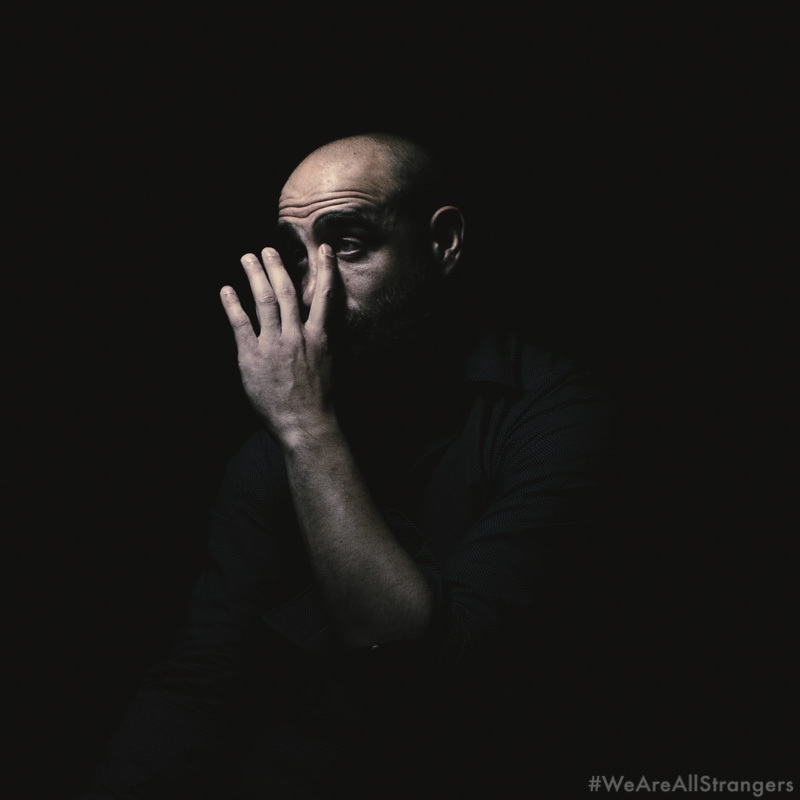 I believe that human connection is one of the most important parts of existence. 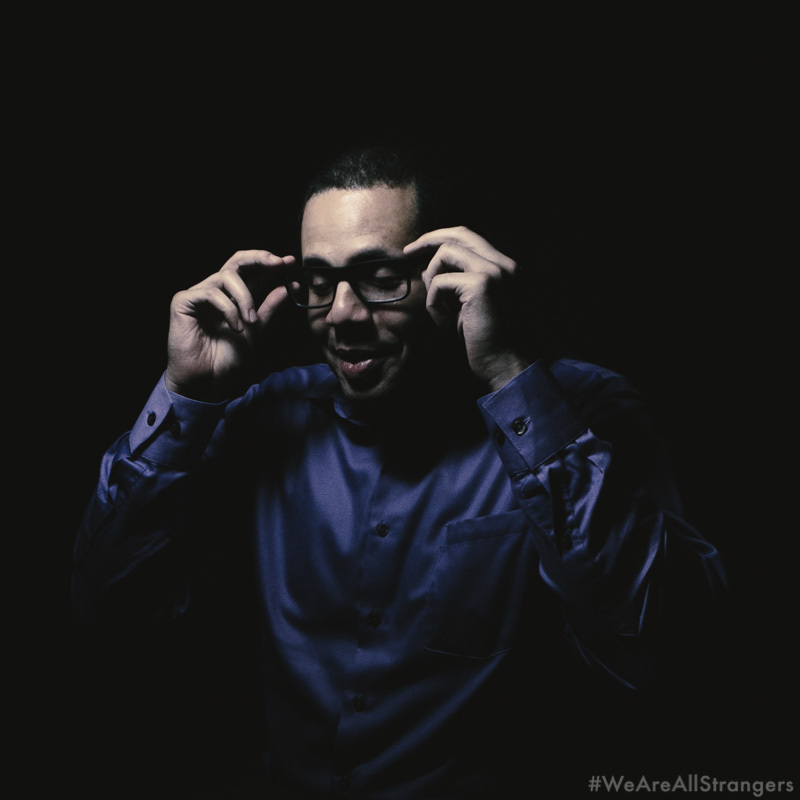 By absently dismissing strangers we are dismissing the people for the masses. 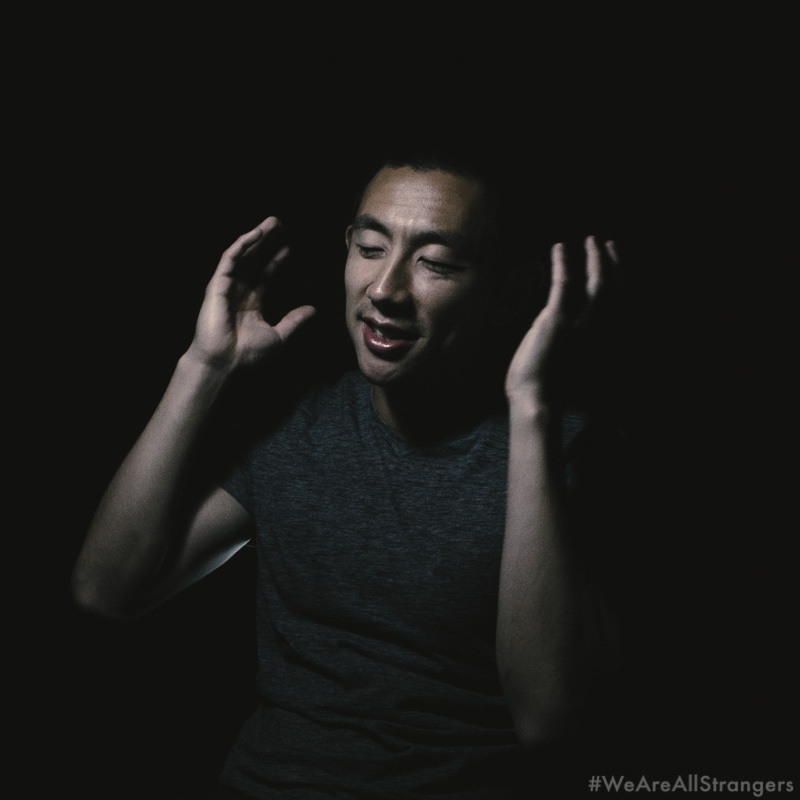 We isolate ourselves from experiences that can widen our world view and can help us realize our commonalities. 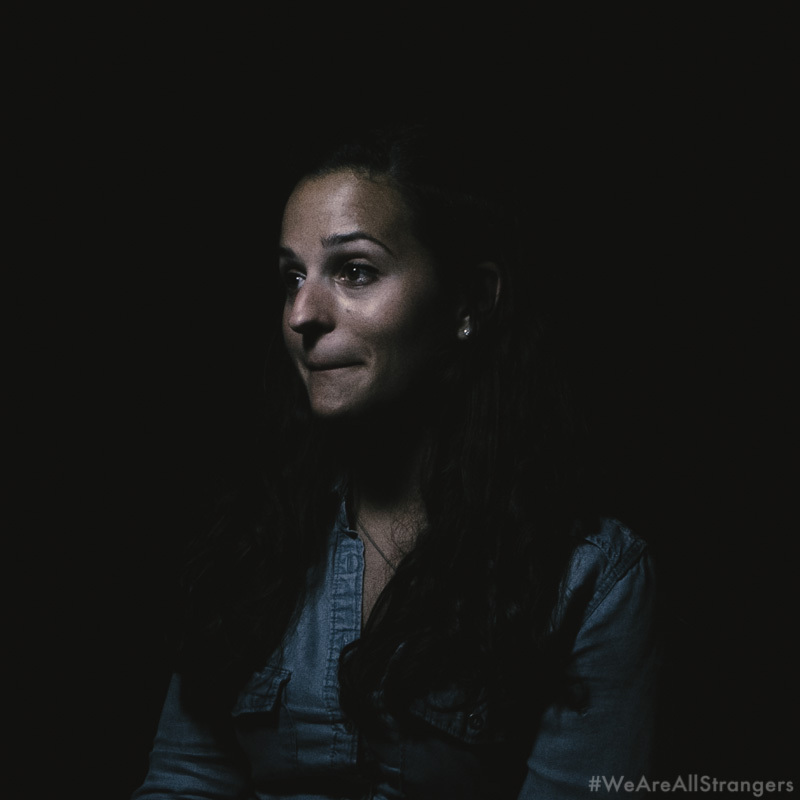 I sat with over 50 "strangers" to explore this thought. 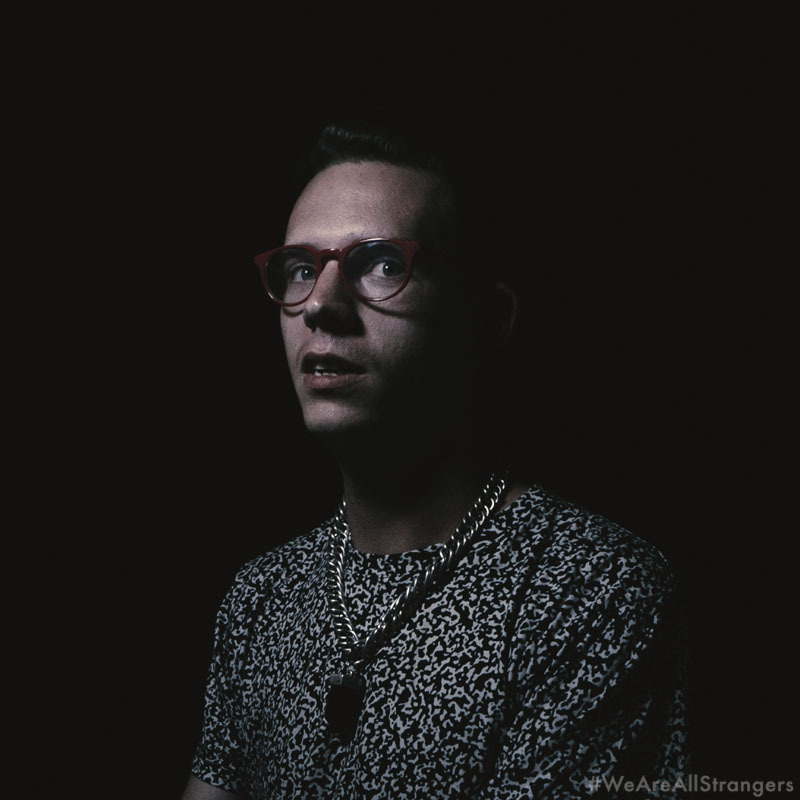 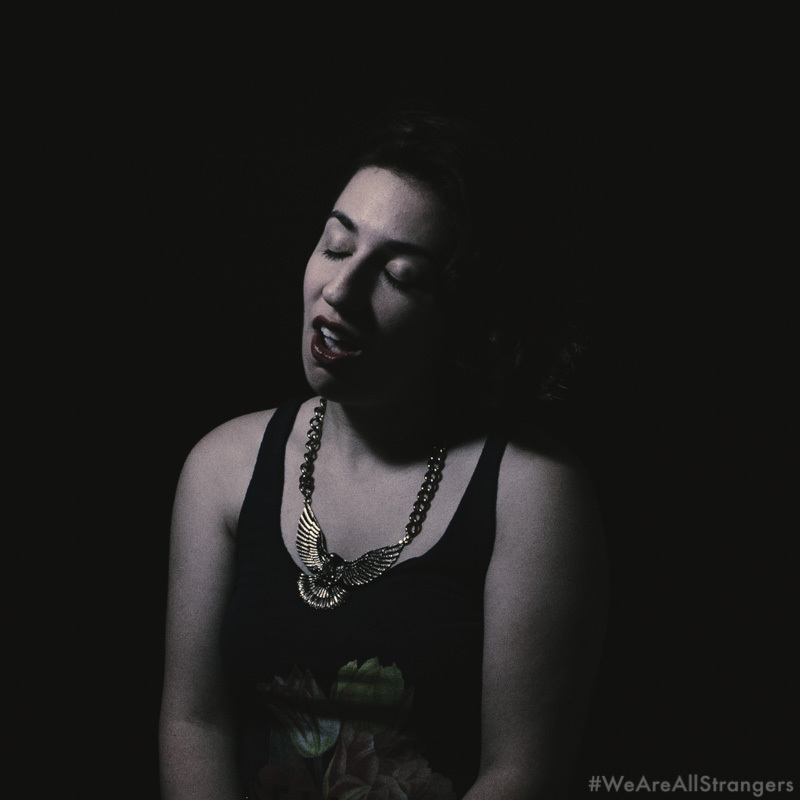 I photographed them against a backdrop that serves as a blank slate so upon viewing, it is just you and the stranger. 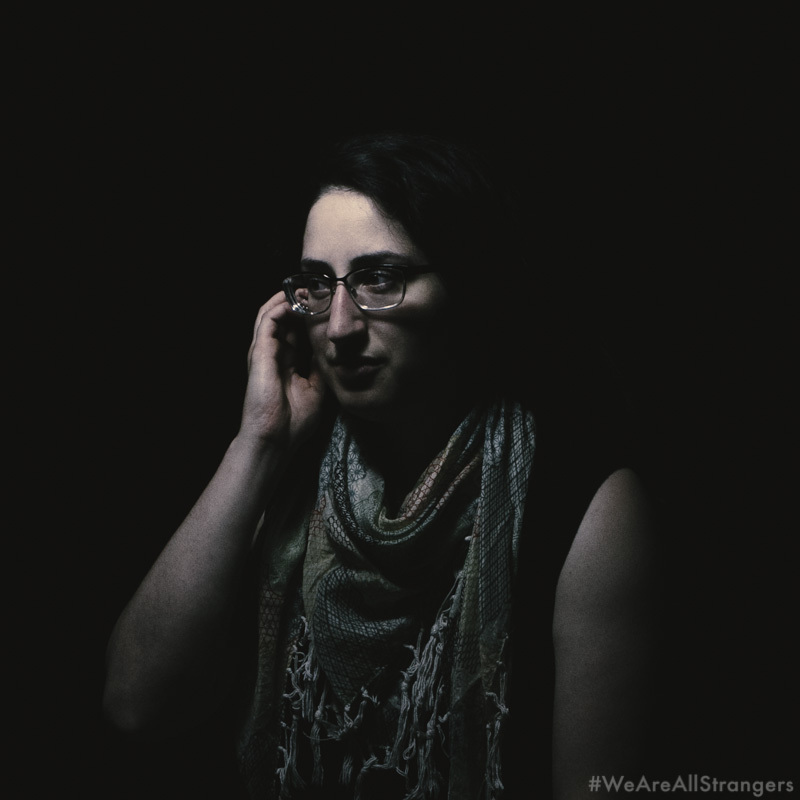 There is no fear of rudeness in a prolonged look, allowing more time to look and see, the individual behind the stranger. 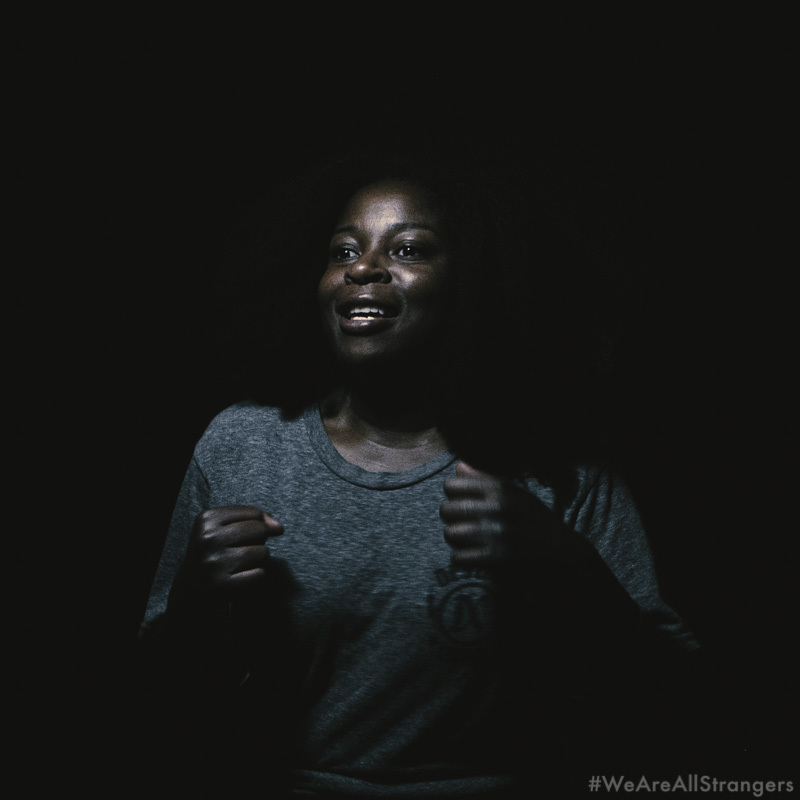 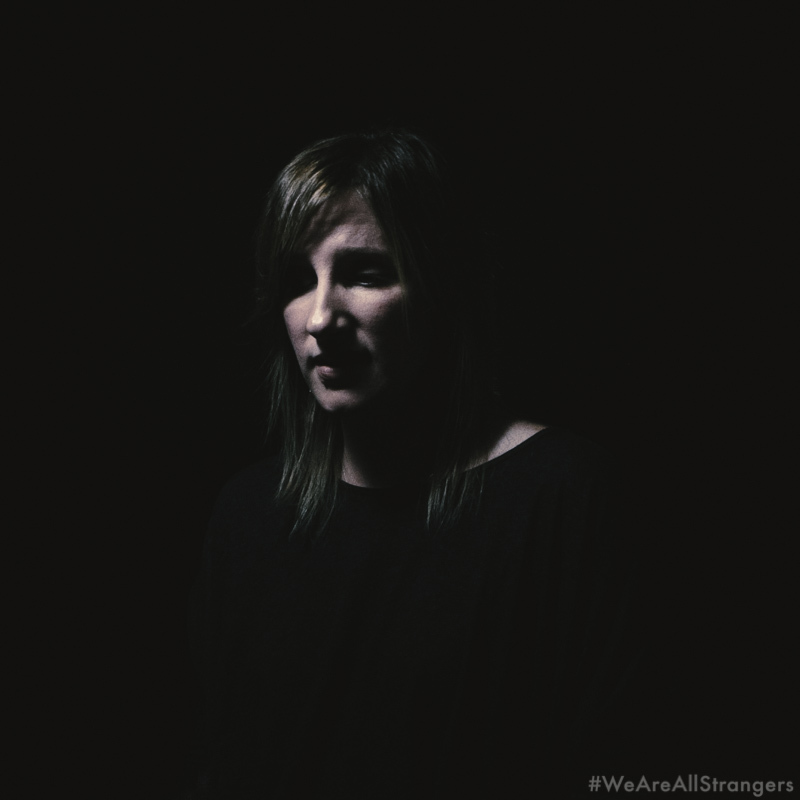 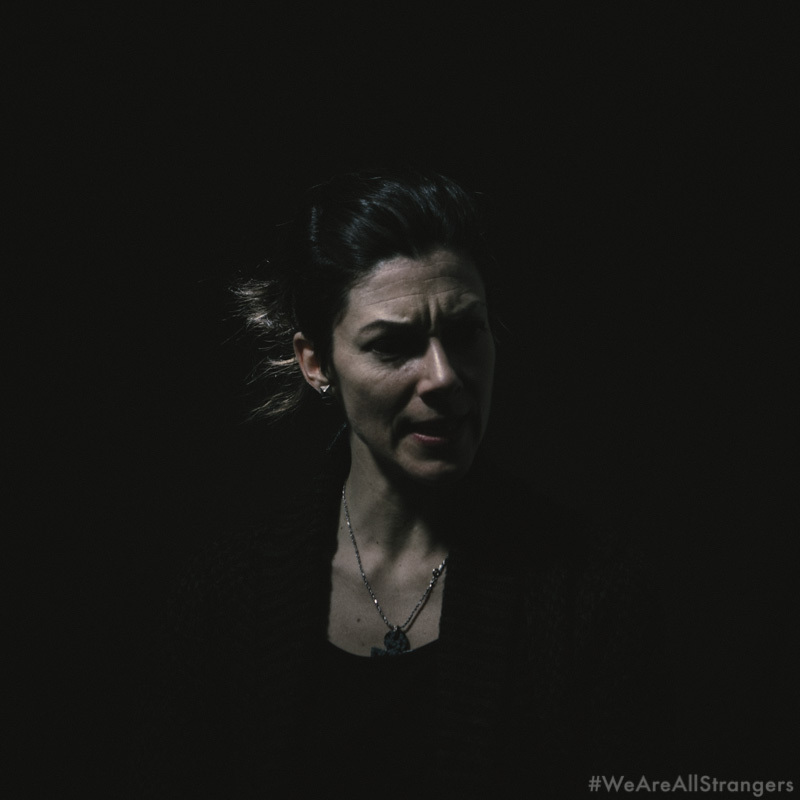 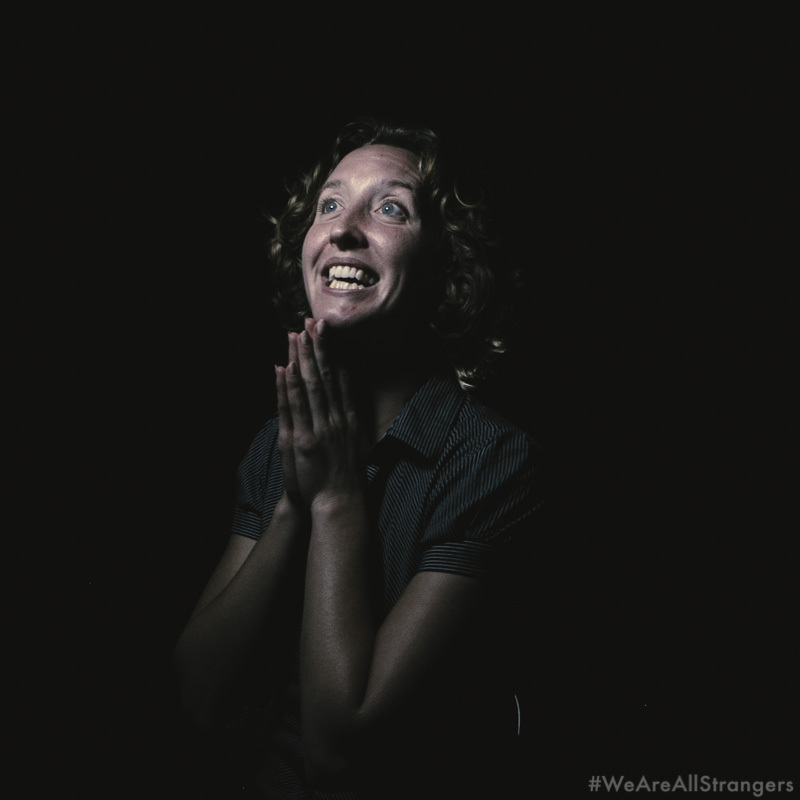 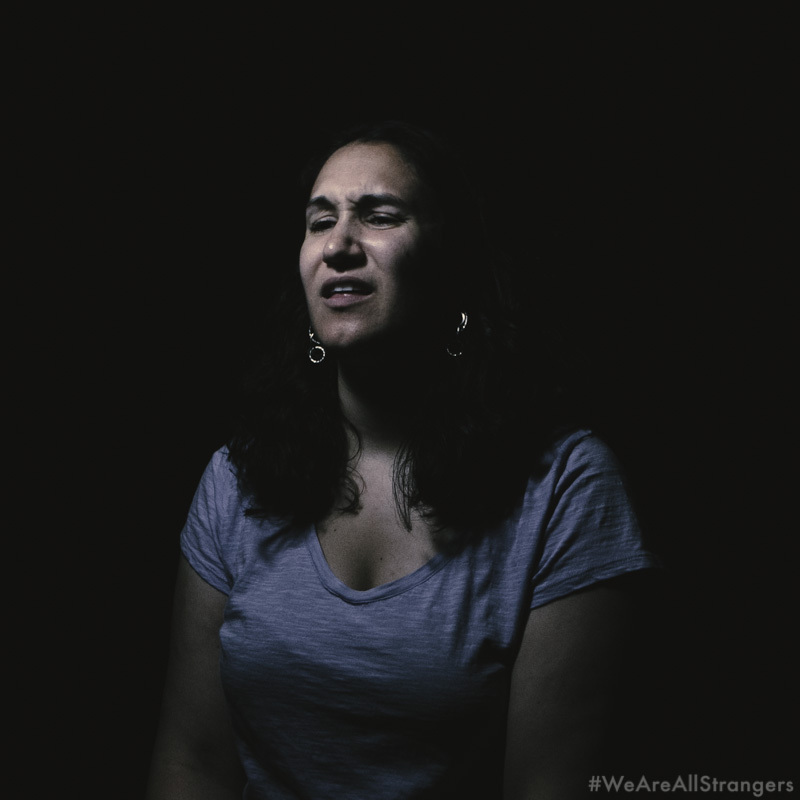 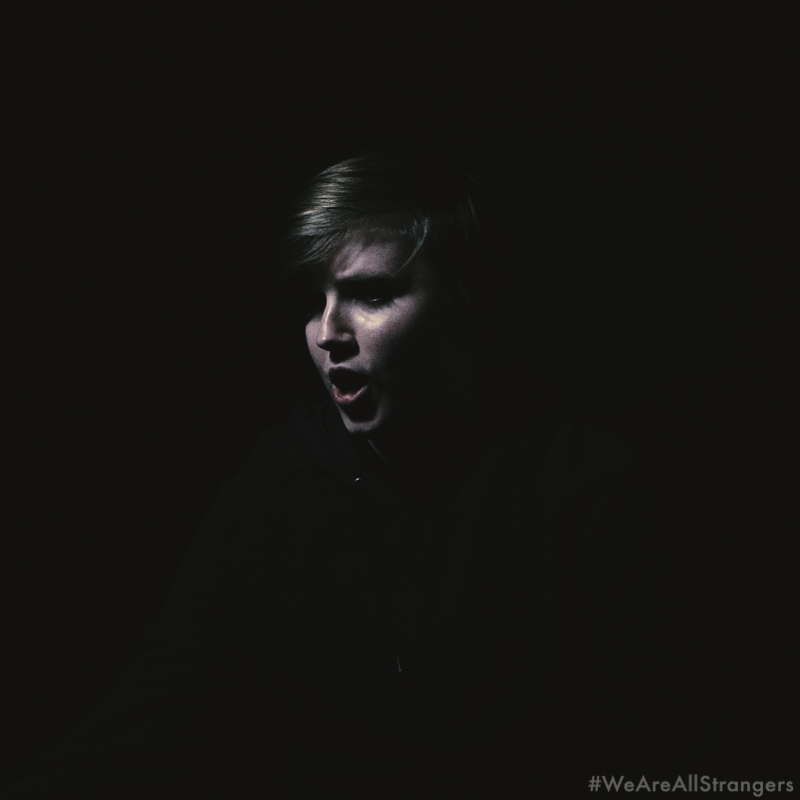 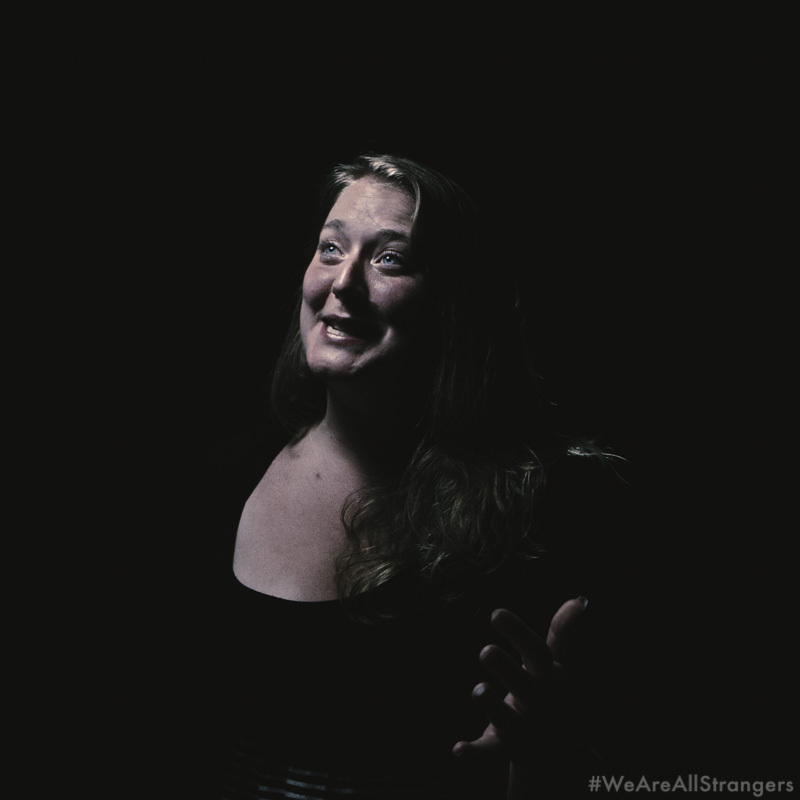 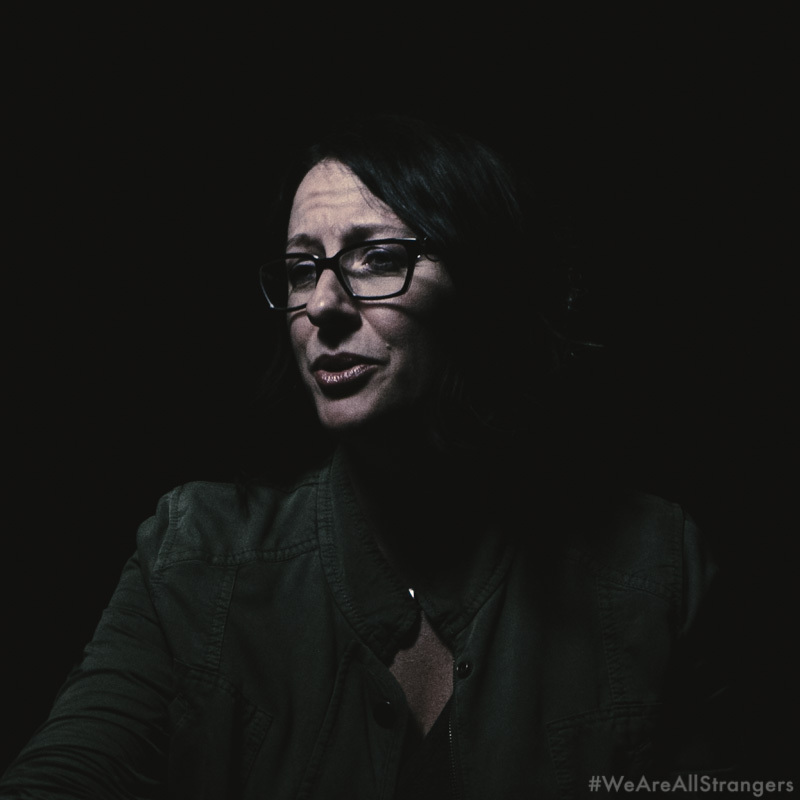 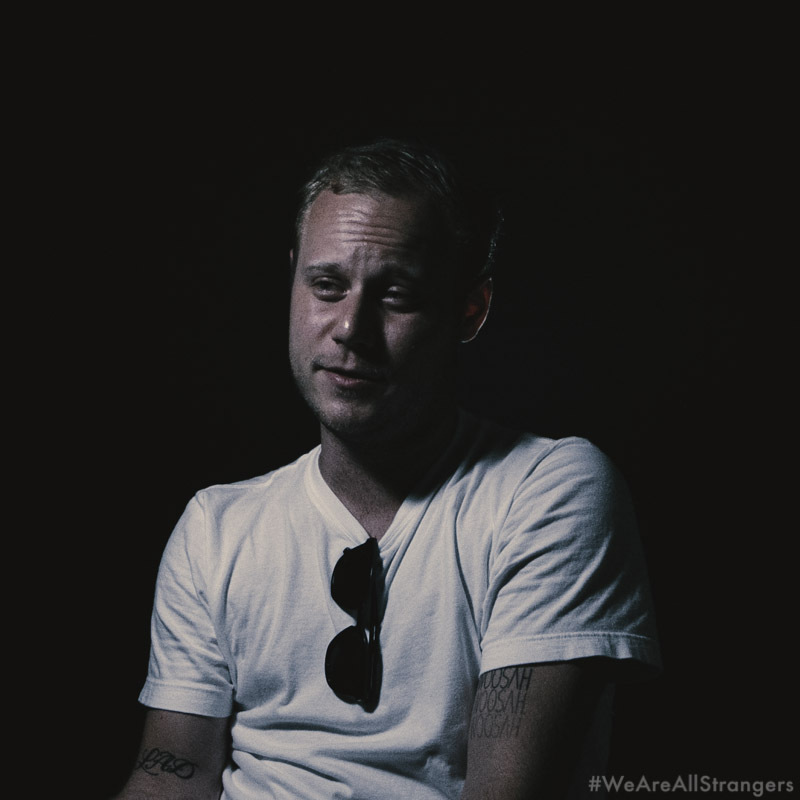 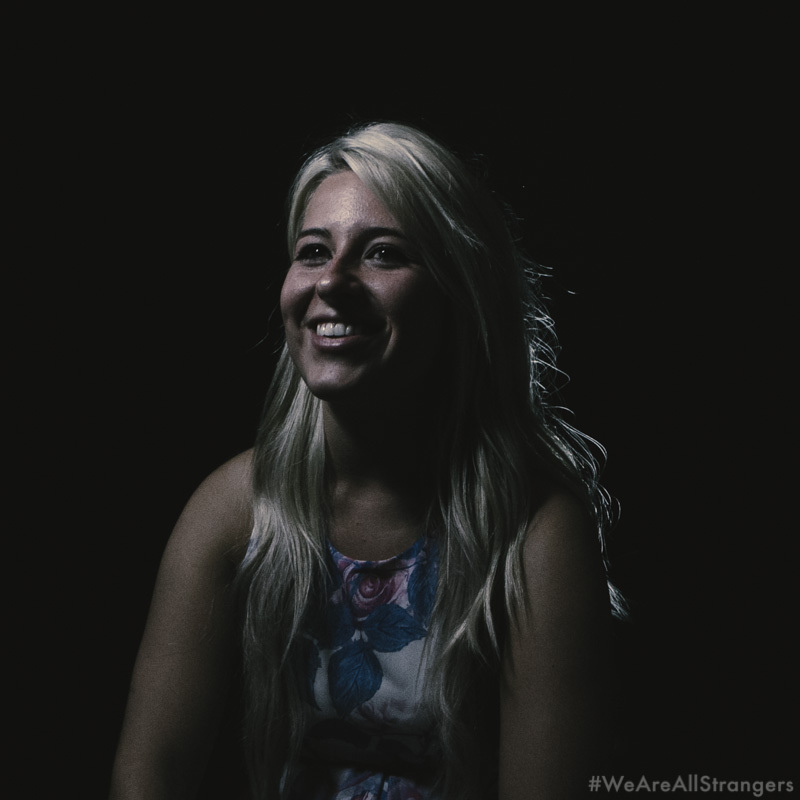 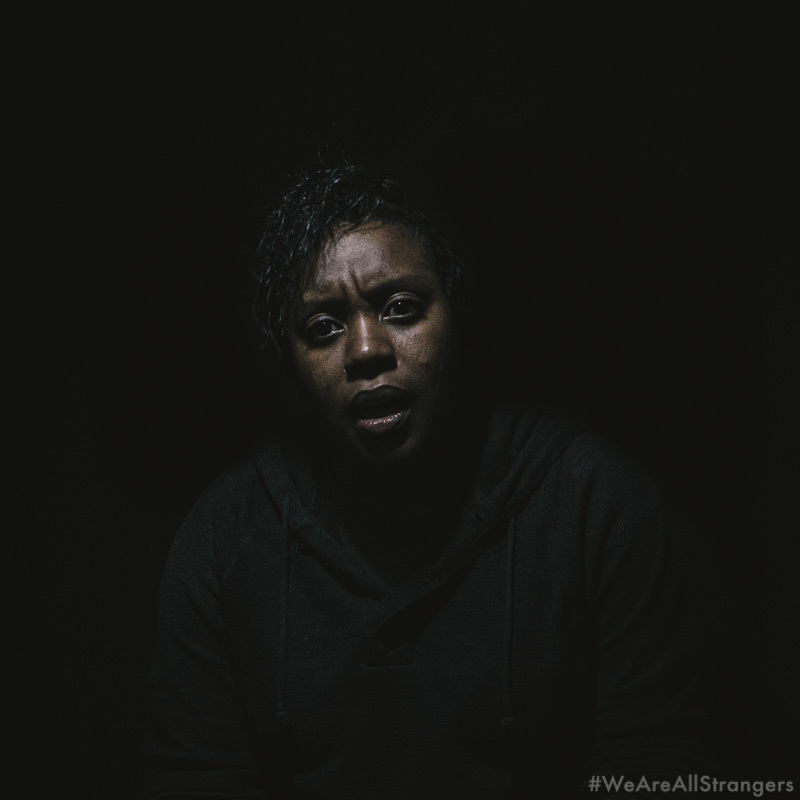 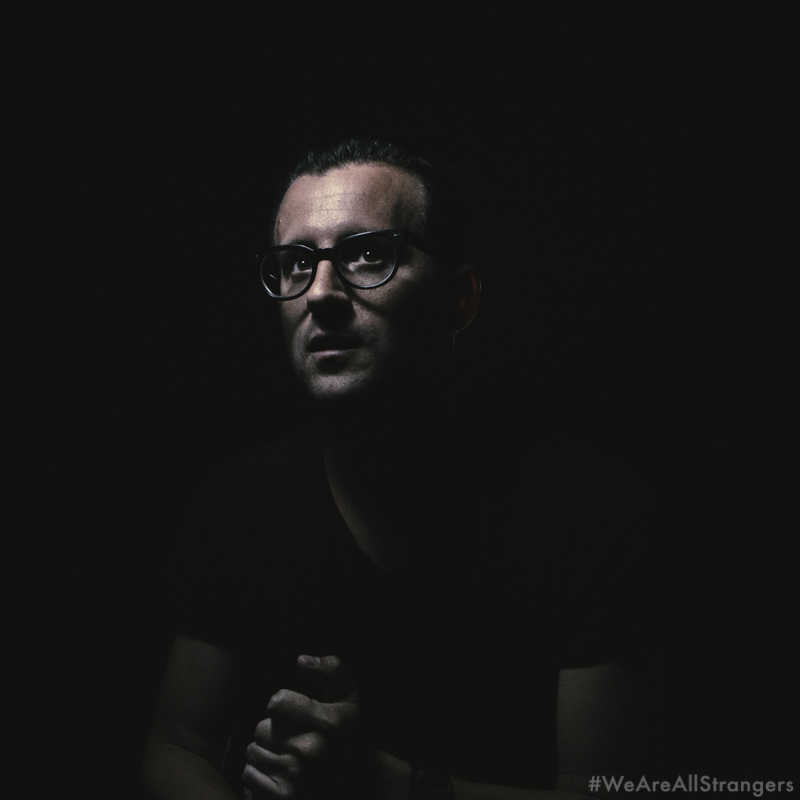 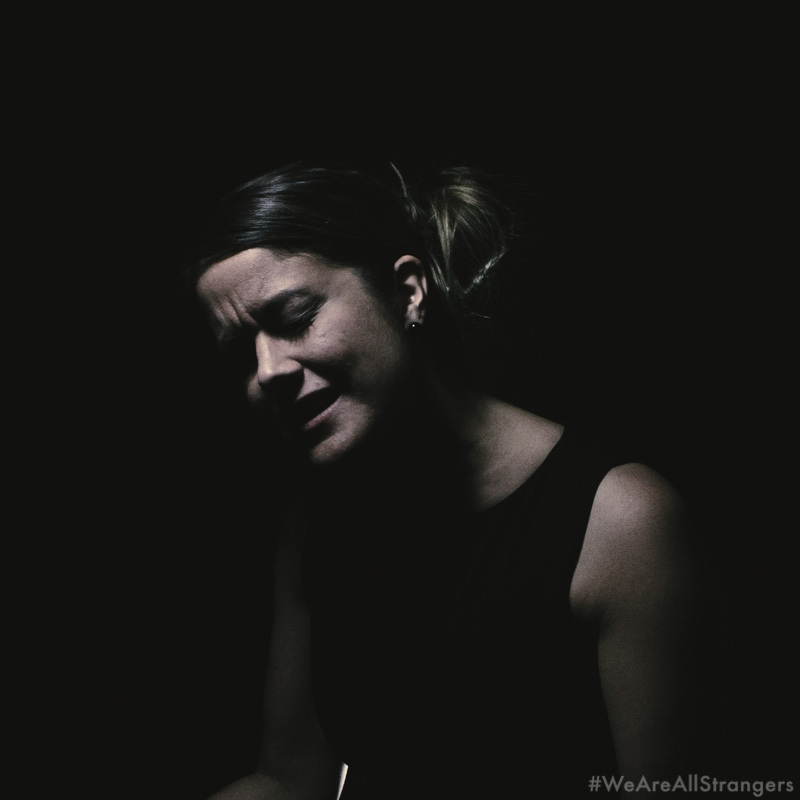 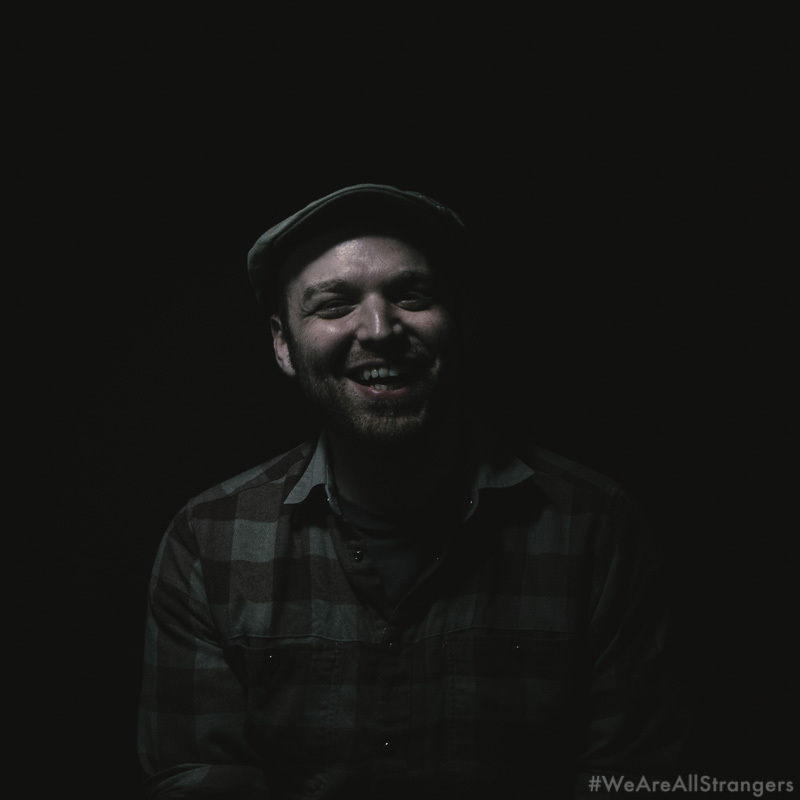 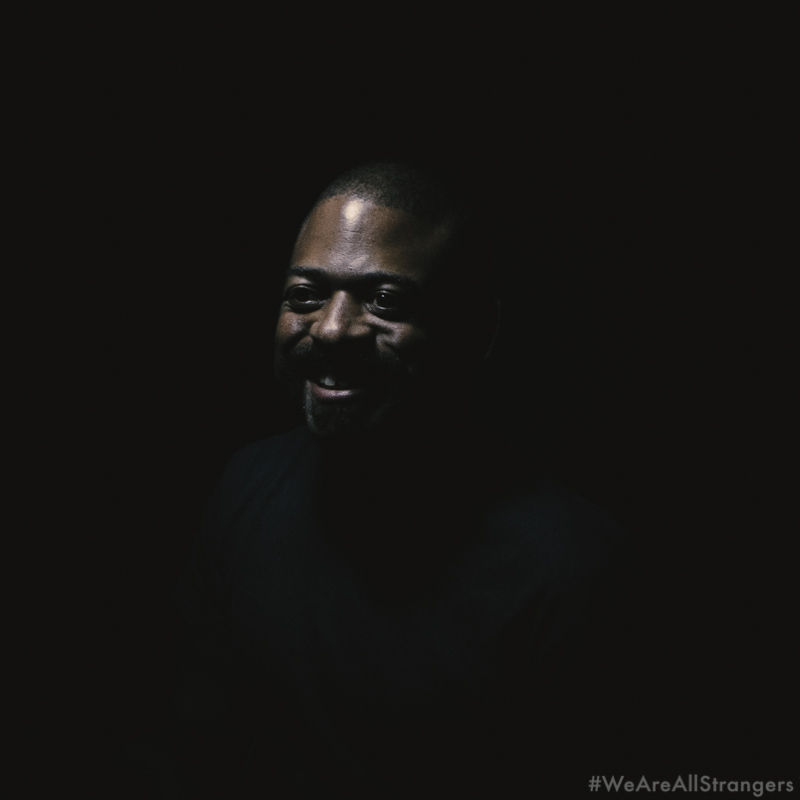 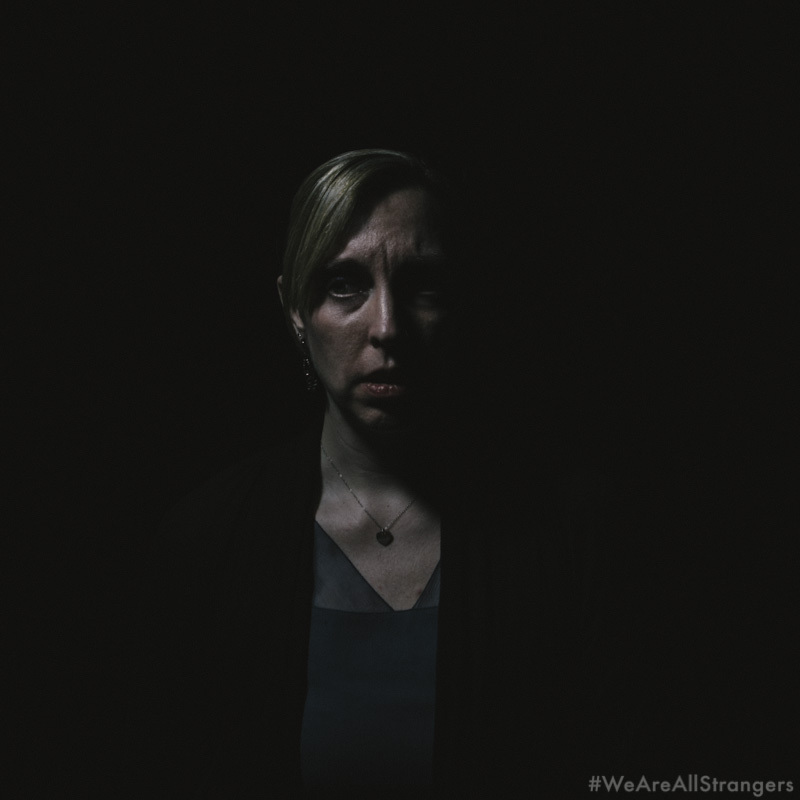 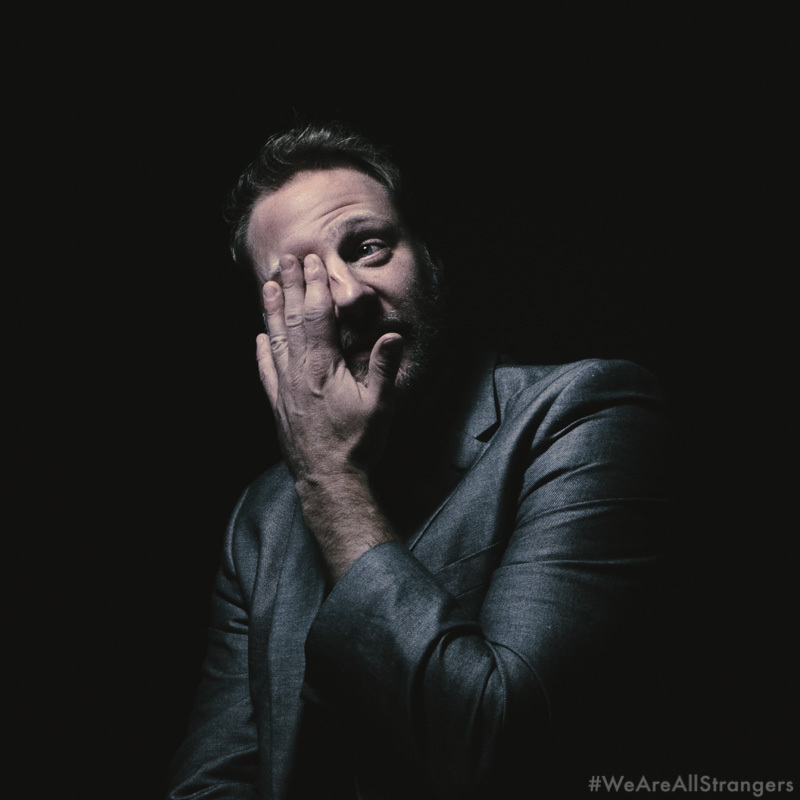 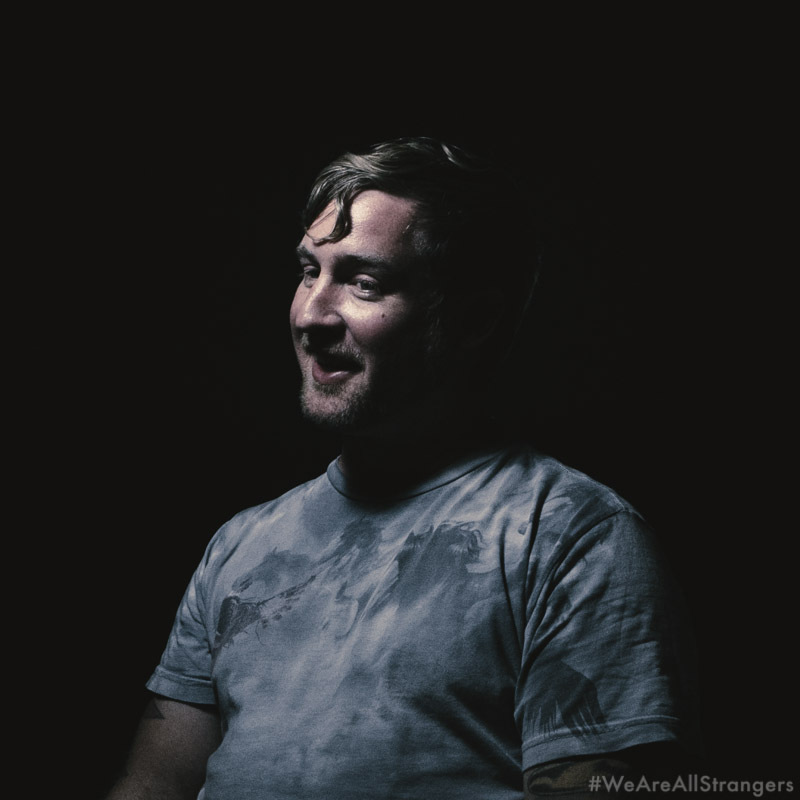 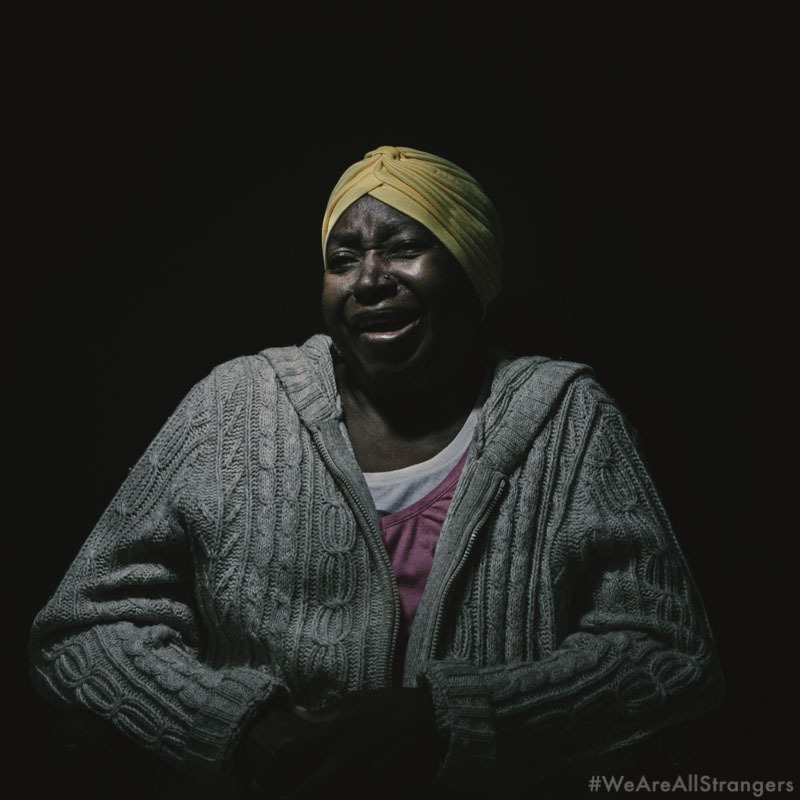 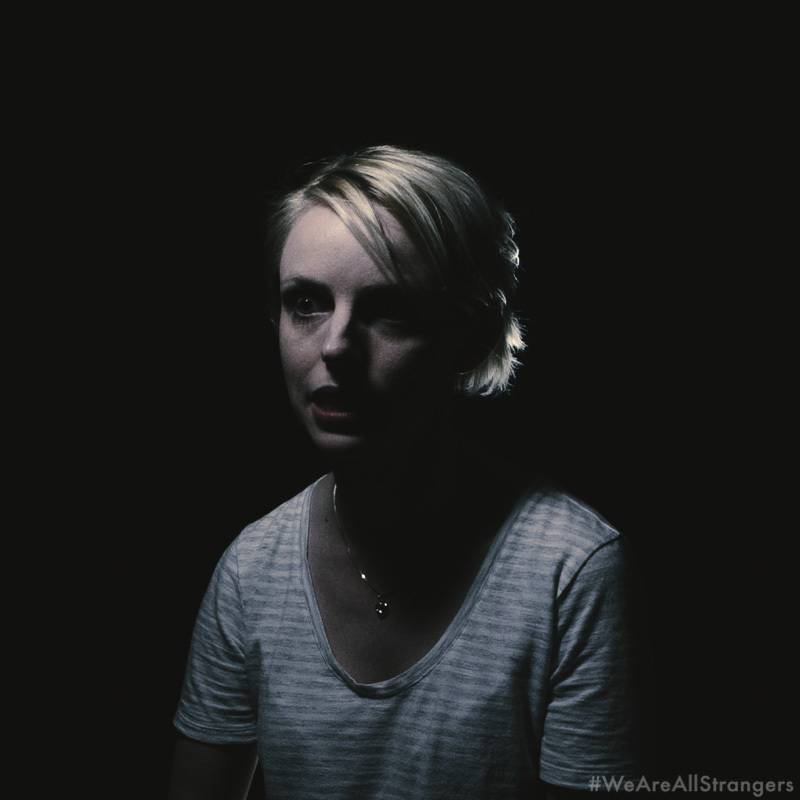 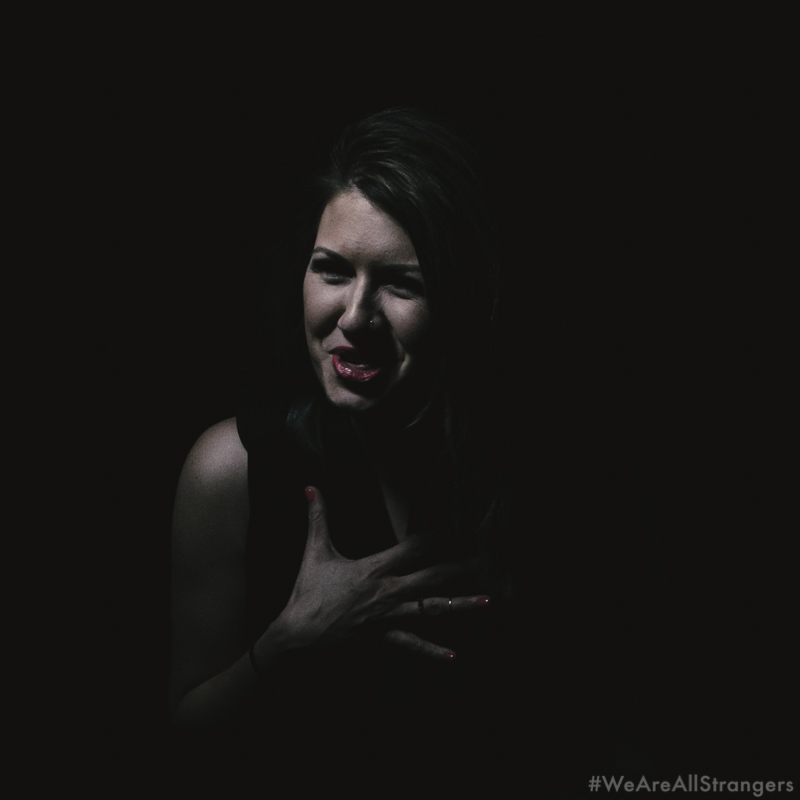 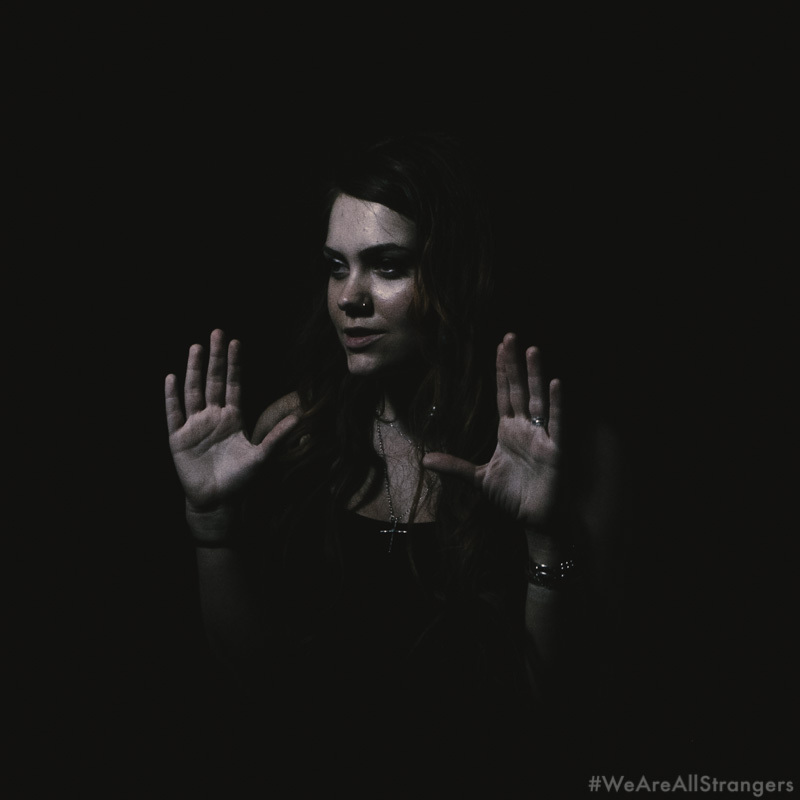 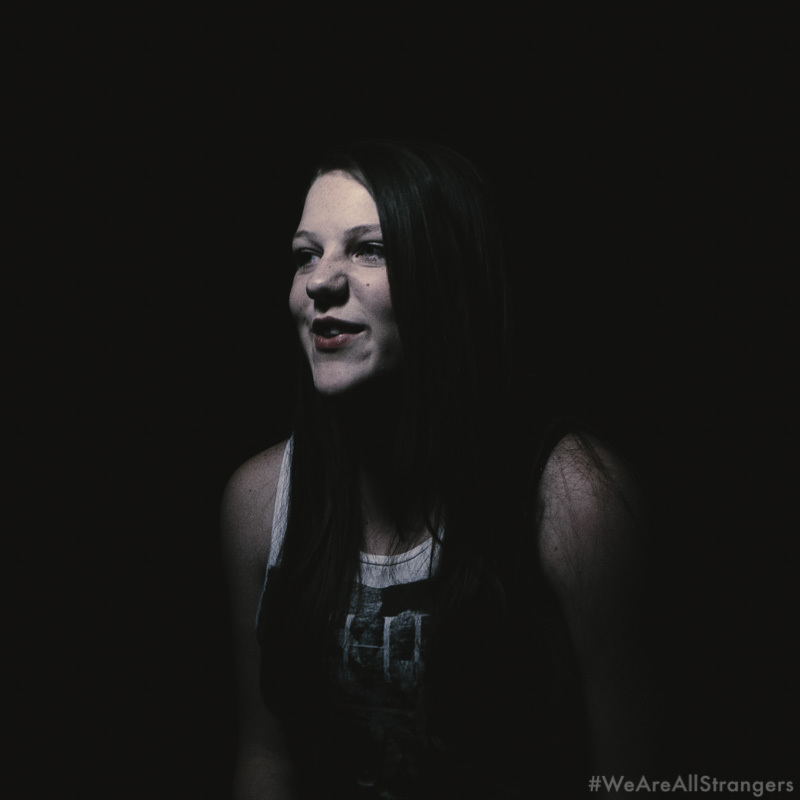 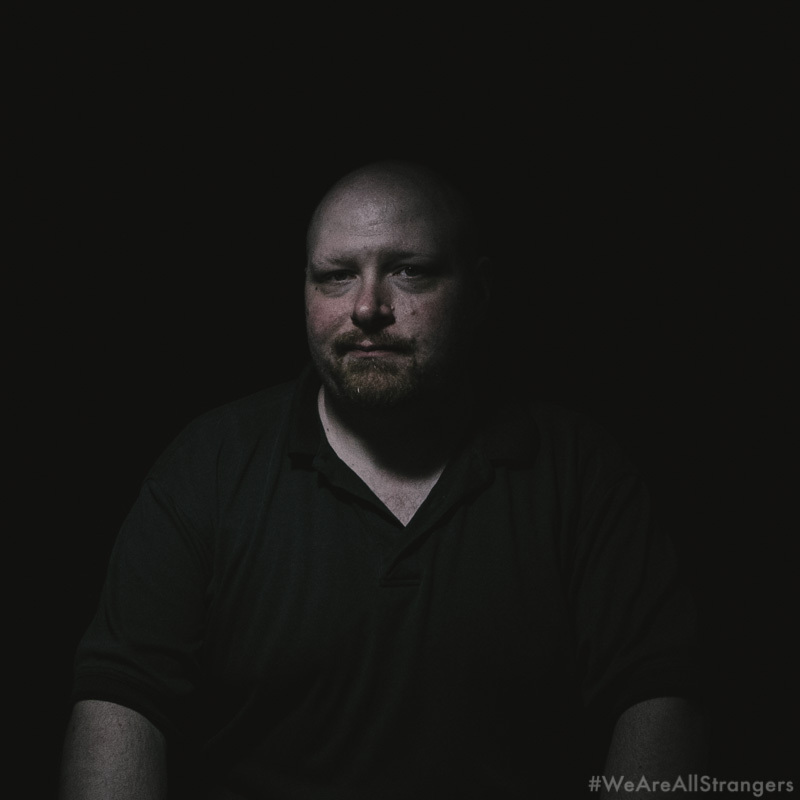 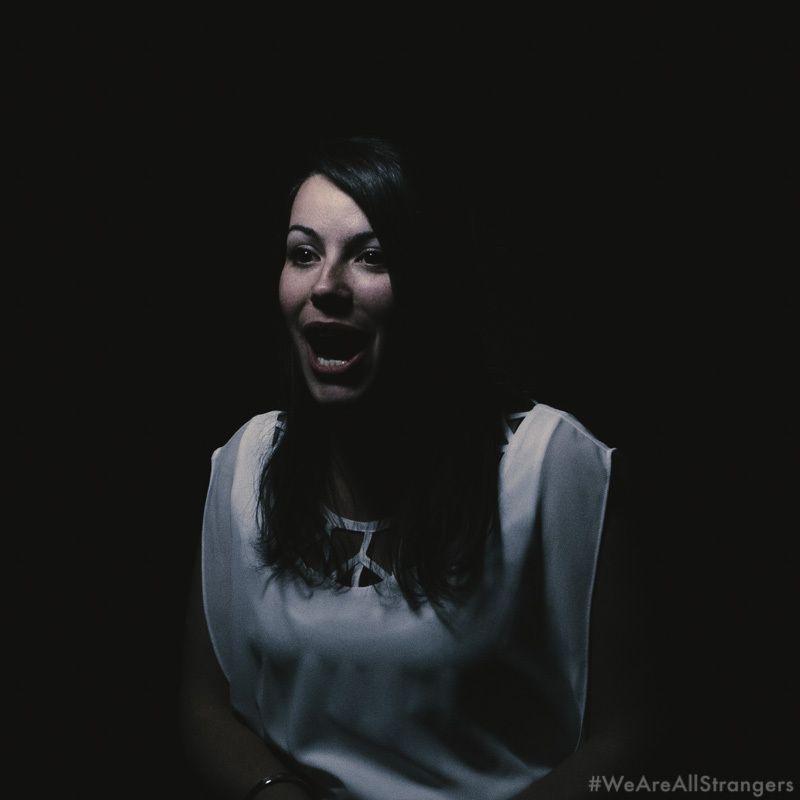 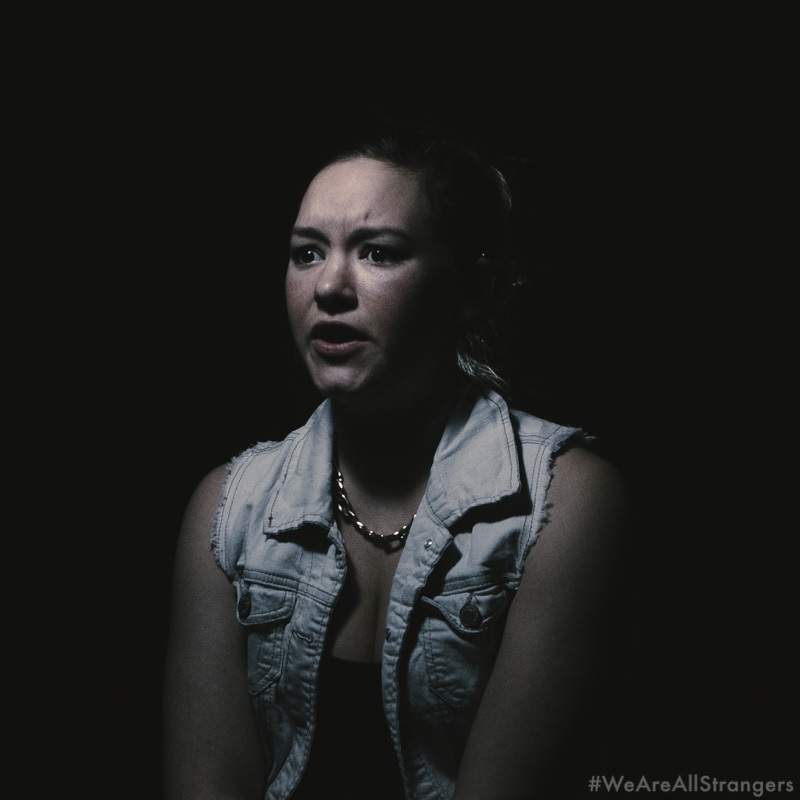 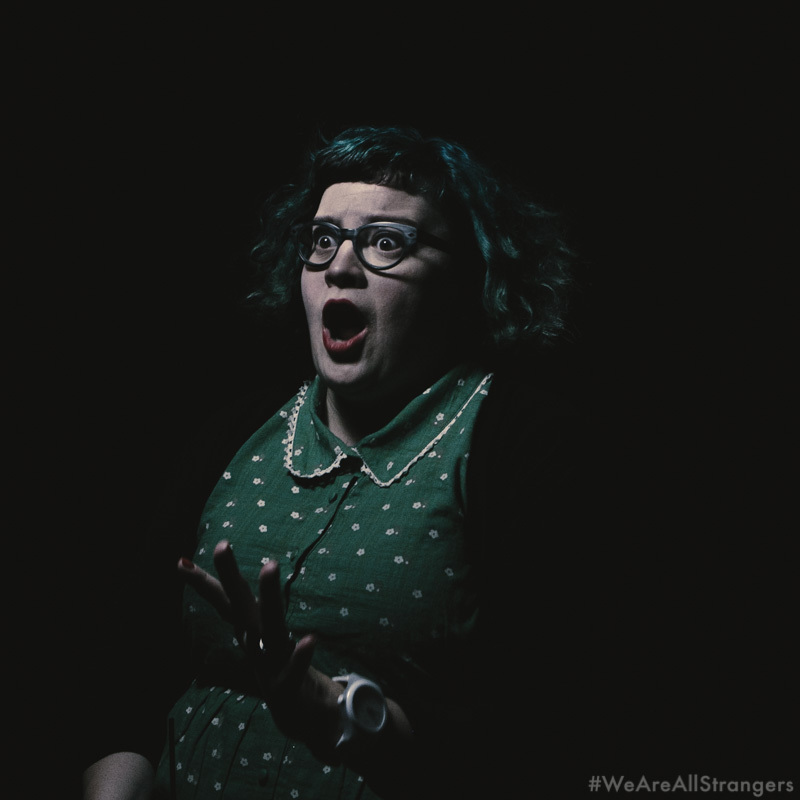 I created the hashtag #WeAreAllStrangers in anticipation that when people share these images, they can connect with other strangers and hopefully become more than that.